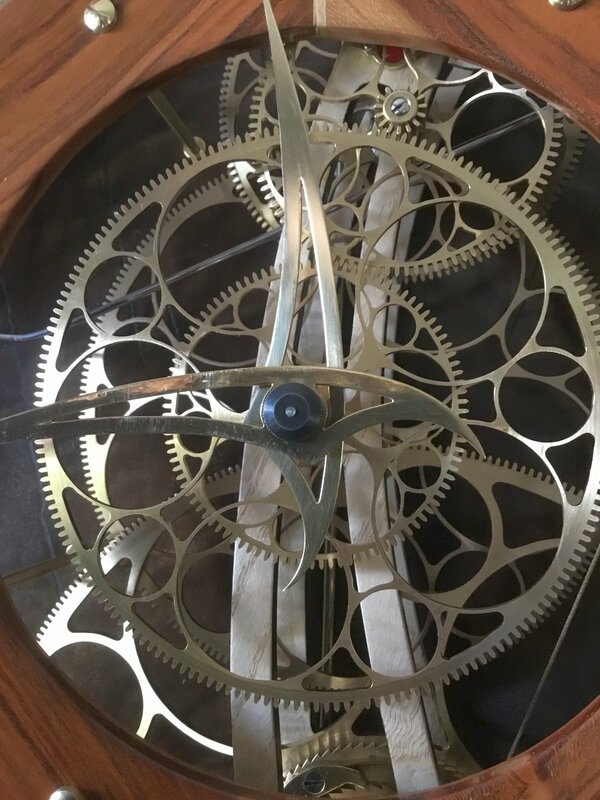 Winner of the Gold Medal for Experimental Timepiece Designs at the National Association of Watch & Clock Collectors 2018 National Convention in York, PA, USA. 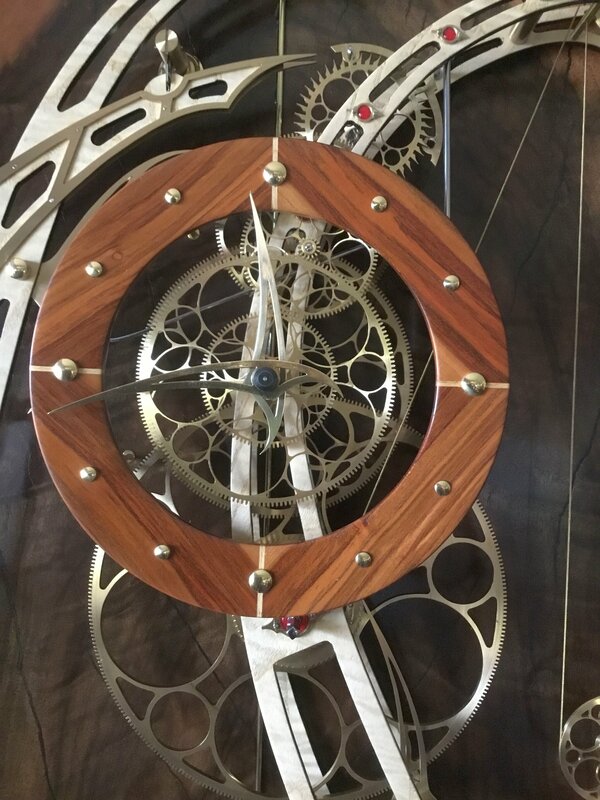 Trevor designed this clock as both a Modern Artistic Impression and Practical Timepiece that is fit for purpose. As a completed item in its finely crafted, yet sinplistically designed case, it is apparent that it would display well in homes or businesses of many genres including public spaces. It's pleasing forms & gentle motion mesmerise those who gaze apon it. 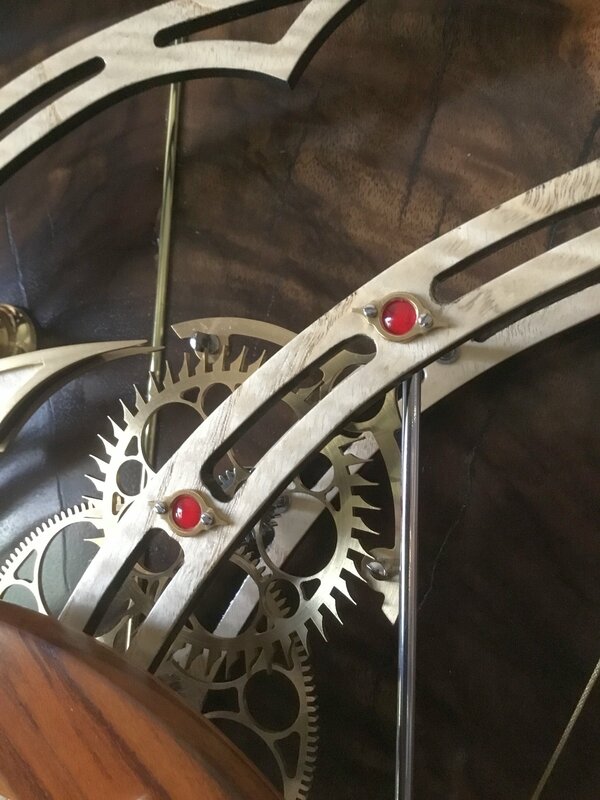 The design & production of this clock was completed by hand with the exception of some of the small machine screws.